Reading serendipity is a wonderful thing. I was halfway through reading The Setons by O Douglas (photo from here) when, into my inbox, popped a review of the book by heavenali. I hadn't realised that The Setons was one of the titles selected for the Librarything Great War theme read so there are probably quite a few bloggers reading it at the moment. Ali has written a lovely review which really says everything I wanted to say myself so I feel a little redundant. So, I'll just give a brief description of the plot & a few thoughts on the attractions of O Douglas's books for me. The Setons are a manse family, living in Glasgow in 1913. James Seton is a well-loved minister to his congregation, a little remote but always practical & kind when help is needed. He's a widower & his daughter, Elizabeth, keeps house for him & his youngest son, David, known as Buff. Elizabeth has largely taken the place of her mother in the house & in the parish. She is attractive, kind, opinionated, funny & devoted to her father. There are two older brothers in India, Alan & Walter. The eldest son, Sandy, died while at Oxford & his mother followed him soon after. We meet Elizabeth's friends, the Thomsons & Kirsty Christie, also a daughter of the manse but less attractive than Elizabeth in looks or manners & less satisfied with her lot in life. When Aunt Alice proposes that her husband's nephew, Arthur Townshend, should visit Glasgow, Elizabeth is dismayed by the prospect. She has missed meeting Arthur on the visits she made to her aunt & the picture she has of him is not an appealing one. She imagines him as very English, stuffy, self-important, used to the best of everything & likely to look down his nose at Glasgow & their family. Luckily, Arthur turns out to be a delightful man, interested in everything & everyone. He makes an immediate friend of Buff & is fascinated by manse life. He quickly becomes a close friend to Elizabeth &, by the time he leaves, their relationship has deepened into love, although unacknowledged. 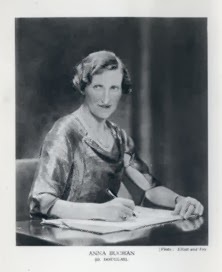 O Douglas was the sister of John Buchan. Her novels are all on similar themes - domestic stories about family & relationships with a lot of humour & always some gentle romance. Buff is another of the young boys who feature in all her novels & are based on a young brother who was killed in the war. Her books are comforting but not saccharine, always alive to the realities of life. O Douglas had very strong views on right & wrong, duty & responsibility & this is reflected in all her books as well as a melancholy that I find attractive. I love reading about a time & a place that seems so far away from our busy modern world yet is still recognisable, with characters who face the problems that everyone has to deal with, no matter where they live or at what time. Theatre producer Charlie Maitland is dead, poisoned with tartar emetic, or antimony. The poison is invisible when dissolved in water but did Charlie commit suicide or was he murdered? He suffered in hospital for several days after the poisoning & refused to accuse anyone or admit he took the poison himself & the police investigation has stalled. Charlie's marriage to actress Georgia Foxley is volatile & their frequent arguments about her drinking & extravagant habits have dominated their marriage. Georgia's personal assistant, Jane Edouard, may have had a motive for killing Charlie as he resented her closeness to Georgia. Charlie's new production, a musical version of The Picture of Dorian Gray, is in financial trouble before it even gets off the ground & his strict stepfather is determined that Charlie will stand on his own feet. The Maitlands' maid, Zofia, also knows something & is driven to attempt suicide from guilt & remorse. The initial investigation got nowhere & now, DI Jack Ravenshaw has been seconded from Bristol because of his special knowledge of the London theatre scene. Jack is one of the Ravenshaw theatrical dynasty, as famous as the Redgraves or the Oliviers. He hasn't acted since a horrific bout of stage fright during a performance of Hamlet just after his father's murder. He's estranged from his mother, Vivien Ashton, who is still involved with the family theatre, The Curtain, although it's now owned by another company. Vivien was horrified when Jack joined the police & they've barely communicated since. Now, however, Jack is forced to use all his theatrical connections to get to the bottom of Charlie Maitland's mysterious death. Jack's investigation is also being obstructed by elements inside the police force. The senior officer on the original investigation, DCI Wade, is openly hostile & seems to be willing Jack to fail. DS Emily Hart is assigned to help Jack with the investigation but she has secrets of her own. Where do her loyalties really lie? Jack's investigations open up several new leads but not everyone is happy with his progress & there will be more deaths before he can discover the truth. I enjoyed this book very much. The West End setting was very effective, which probably isn't surprising as M G Scarsbrook is a screenwriter as well as a novelist. Jack is a sympathetic character. His life is shambolic & he seems to have no personal life at all. He joined the police force after leaving the stage as a way of gaining the skills to solve his father's murder which has haunted him. He seems to be procrastinating in every area of his life & being forced to return to London & the West End tests him in many ways. Emily Hart is also an intriguing character, not entirely sympathetic as her loyalties are confused but definitely a woman with ambition & good at her job. The supporting characters are well-drawn, especially Zofia & Darlington Bell, a family friend of the Ravenshaws & an influential critic. The only aspect of the novel that seemed unnecessarily far-fetched were the absinthe-induced hallucinations that Jack experiences. However, that's a minor quibble about a novel with an intriguing, multi-layered plot & a pair of detectives who will hopefully appear in another novel. I'm afraid I have no other excuse for choosing this week's poem other than that I love the title. It's so completely Gothic & wacky. As Charlotte Smith was a novelist as well as a poet & said to be an influence on the Gothic novels of Ann Radcliffe, it's probably not so odd after all. The title of the poem is almost as long as the sonnet itself - On Being Cautioned against Walking on an Headland Overlooking the Sea, because It Was Frequented by a Lunatic is one of Smith's Elegiac Sonnets, published in 1797. I enjoyed this book so much. I think Middlemarch is a remarkable book. I've read it twice, most recently last year for dovegreyreader's group read, Team Middlemarch (all the posts are still there if you want to start your own group read) & it's completely absorbing. I was a little apprehensive about the idea for The Road to Middlemarch as there's a great temptation for the author to gush & for the personal story to overwhelm the criticism. I think Rebecca Mead has balanced the different aspects of the book very well. The genesis of the book was an article Mead wrote for the New Yorker (almost exactly three years ago, on February 14th, 2011) about Eliot but her interest in Eliot was already deep. The book is structured as the novel is, in eight Books with the chapters of The Road to Middlemarch bearing the same titles as the original. Born in the UK but living in the US for most of her adult life, Mead tells her own personal story alongside Eliot's. 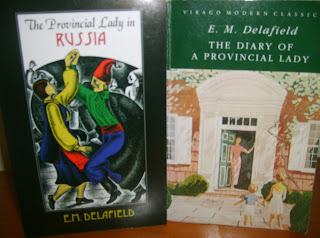 She also visits many of the places associated with Eliot & I loved these sections. Mead handles the manuscript of Middlemarch, visits the place where Eliot was born, travels to libraries in the UK & US to see & touch objects Eliot owned. She describes Eliot's life, from her provincial childhood to her renunciation of religion, decision to live in London, her work as an editor, meeting with George Henry Lewes, the man she would live with for 20 years & her work as a writer. She quotes from Eliot's notebooks & letters & the recollections of those who met her. Following in her footsteps gives Mead a chance to meditate on the changes time has wrought on the places Eliot once knew as well as sparking memories of her own life. The most interesting part of the book for me was the deep exploration & discussion of the plot & characters of Middlemarch. Mead explores the beginnings of the book. 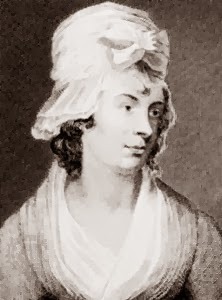 Eliot wrote the first Book, Miss Brooke, first & only then decided to introduce Tertius Lydgate & his story which made the novel more ambitious & expansive. As the subtitle of the novel puts it, A Study of Provincial Life. She discusses the possible models for Dorothea & Casaubon; the authorial voice; the humour in the book & the things that Eliot leaves out. For instance, we learn a lot about Lydgate's childhood & origins but virtually nothing about Dorothea's. Eliot writes that Dorothea's parents died when she & her sister, Celia, were "about twelve years old." This imprecise statement puzzles Mead every time she reads the novel but she concludes, "George Eliot doesn't need to provide Dorothea with a fleshed-out childhood, or a detailed history. She comes into the world of the novel fully developed, like a second Minerva." I also enjoyed the discussion about Mary Garth, one of my favourite characters. I was glad to see how seriously Mead considers Mary & her relationship with Fred Vincy. Their relationship is one of the love stories in the book, just as important as Dorothea & Will Ladislaw or Lydgate & Rosamond. 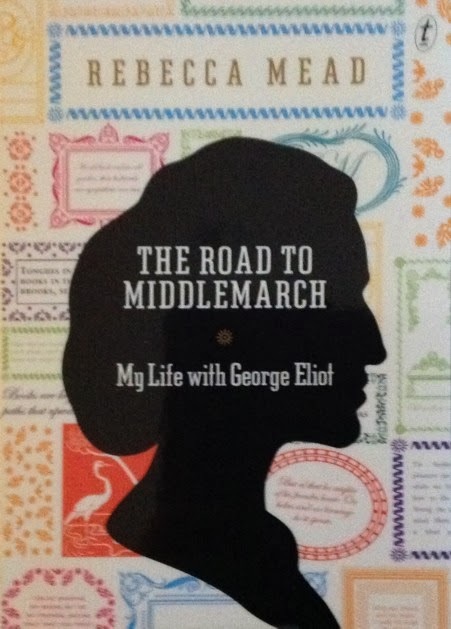 Middlemarch has not given me George Eliot's experience, not on my first reading of it, or my latest. But in reading her works and her letters, and learning about her life and the lives of those near to her, it becomes clear to me that she could not have written this novel without her individual contact with sorrow. And as I continue to read and think and reflect, I also realize that she has given me something else: a profound experience with a book, over time, that amounts to one of the frictions of my life. The friction of life, mentioned in the quote above, is a reference to something Eliot said, "There must be the actual friction of life, the individual contact with sorrow, to discipline the character." Mead's exploration of the writing of Middlemarch, the life of the author & her own life as it has been affected by the author & the novel is a wonderful exploration of the effect reading can have on one's life. I've always loved reading around my favourite books. Knowing about the circumstances of composition, the reception of the work & where it fits in the life of the author & the period enriches my experience of reading. It may not be necessary to "know" who Casaubon was based on (& there's more than one candidate, anyway) but it's fascinating to look at the parallels between life & fiction. The Road to Middlemarch is a book that has enriched my understanding of the novel & made me want to reread it all over again. I always begin the New Year with the intention of not buying any books for a few months. I have so many unread books that it would take me years to read them all that it really shouldn't need a new year's resolution to motivate me to stop for a while. I'm usually quite disciplined &, apart from a few ebooks (which are just too easy to buy - at least they're invisible), I stick to it, at least until autumn & the thought of long winter afternoons send me off to check my wishlists. I have just bought these four VMCs from World Of Books, a secondhand bookshop in the UK. They were £1 each so even with postage, they only cost $25AU which I thought was very reasonable. They're in lovely condition & I'm looking forward to reading them. I had read a review of The Wild Geese by Bridget Boland somewhere & that's what sent me off to Abebooks in search of a copy. It's the story of an 18th century Irish family, told through letters. The Wild Geese are the young men of the family, rebels who risk their lives by returning from exile. I was also fascinated to read the Bridget Boland was a scriptwriter who had written the screenplays of several well-known films including Anne of the Thousand Days & the 1940 version of Gaslight. I couldn't just buy one book though, could I? 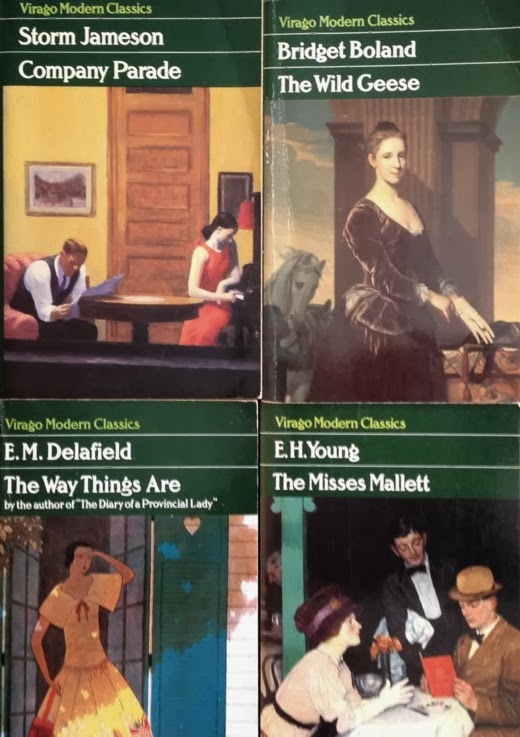 So, I found myself looking through the bookstore's listings for VMCs & came across The Misses Mallett by E H Young, Company Parade by Storm Jameson & The Way Things Are by E M Delafield. Does anyone remember Catherine Gaskin? I loved her novels when I was younger. She was born in Australia, but, like many artists of the mid 20th century, left Australia to live in the UK & US most of her life. She wrote novels of romantic suspense & could be compared with Mary Stewart. I especially enjoyed Sara Dane, set in early 19th century Australia, Falcon for a Queen, set in Scotland & The File on Devlin, a suspense novel. I came across the website dedicated to Gaskin (follow the link) through a link to an interview there with Linda Gillard, author of Cauldstane. I enjoyed my trip down memory lane & was pleased to discover that one of her books has been released as an ebook with hopefully more to come. The Property of a Gentleman is about a young woman working for a London antiques house who is sent to a remote country house in the Lake District, Thirlbeck, to assess the art collection. She finds romance, suspense & family secrets. I don't remember reading this one but it sounded so intriguing that I bought it. Some of the book covers here look very familiar & I would love to read more of her books. I also have a few books on preorder. I'm looking forward to the British Library Crime Classics. I couldn't resist the gorgeously nostalgic covers of the books by John Bude & Mavis Doriel Hay so I've ordered all four of them. Martin Edwards has written the Introductions to the John Bude titles so that's another reason to look forward to them. So many good things to look forward to! Adelaide Anne Proctor was one of the most popular poets of the mid 19th century. Her father, Bryan Waller Proctor was a solicitor & poet & she moved in literary circles. She contributed to Dickens's periodicals Household Words & All The Year Round, writing stories & poems. She was also involved in the women's rights movement & her work was published in the English Women's Journal which promoted women's suffrage. She died of tuberculosis at the age of 39 after years of ill health. My anthology has quite a substantial selection of her poems & I liked this one, A Woman's Last Word, which is full of sadness & regret. Jill Paton Walsh has written several novels featuring Lord Peter Wimsey & Harriet Vane, the characters created & made famous by Dorothy L Sayers. The Late Scholar is the latest of these & it's a real treat for anyone whose favourite Sayers novel is Gaudy Night (as mine is). It's the 1950s & Peter is now Duke of Denver, inheriting the title from his brother, Gerald. Among his many duties, Peter discovers that he is the Visitor of St Severin's College, Oxford. The Visitor of an Oxford college has mainly ceremonial duties - installing the Warden, for example. However, the Visitor can also be called upon to resolve disputes &, in this capacity, Peter has been asked to resolve a dispute which has turned very nasty indeed. The College is in debt & the fellows are split on the course to pursue to pay off the debt & put the College on a better financial footing. The College owns a valuable Anglo-Saxon manuscript that may have been annotated by Alfred the Great. The fellows have an opportunity to purchase some farmland that has opportunities for development but to buy the land, they must sell the manuscript. The college is locked in a bitter dispute with the votes on either side evenly divided. The casting vote belongs to the warden of the College, who has disappeared. Then, the murders begin. Peter & Harriet are dismayed to realise that the methods used by the murderer have been suggested by the murders in Harriet's books which were, in turn, based upon some of Peter's cases. Harriet & Peter go to Oxford hoping to relive happier times but find themselves hunting a murderer. I enjoyed The Late Scholar very much. Dorothy L Sayers is my favourite novelist of the Golden Age & I have reread her books many times. I've also enjoyed all of Jill Paton Walsh's continuations & new novels as she obviously admires Sayers & has an immense fondness for the characters. There are many echoes of Gaudy Night in this book & Miss Lydgate & the Warden of Shrewsbury have cameos as well as favourite characters from the Wimsey novels - Bunter, of course, Uncle Matthew & the Dowager Duchess, a little frailer but still as loquacious as ever. The novel isn't just a wallow in nostalgia, though. The plot is satisfyingly full of clues & possible suspects as well as the obligatory red herrings. I especially enjoyed the discussions about the authenticity of the manuscript & its annotations (Bunter's photographic skills come in handy, here) & the young scholar Jackson whose enthusiasm for the manuscript is based on his hopes of basing his career on studying it. The dons are a mixture of the noble & the venal & the atmosphere of Oxford is as seductive as ever. I'm not usually a fan of authors adapting or continuing the series of others but I think this is the exception. Jill Paton Walsh has done a fine job & fans of Peter & Harriet are in for a treat. 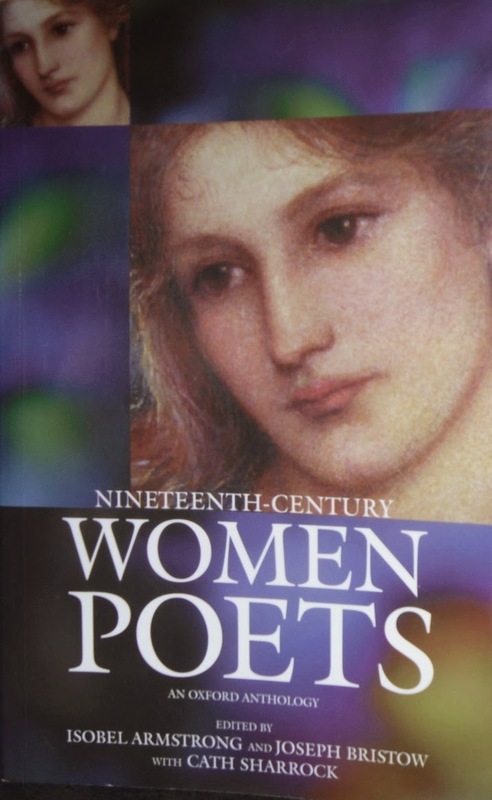 I've started dipping into this Oxford anthology of 19th century poetry by women edited by Isobel Armstrong, Joseph Bristow & Cath Sharrock. I've chosen a poem by Mary Elizabeth Braddon, one of my favourite novelists. She only published one collection of poetry, in 1861, but, as she was supporting her family, she probably found that her sensation novels paid much better. This is called To A Coquette, & I can imagine many of her upright heroes saying these words to her duplicitous, but fascinating, heroines. Braddon was also in my mind this week as I've bought the ebook of Valancourt Press's new edition of her late novel, Dead Love Has Chains. This wasn't included in the Delphi collection I bought recently & I'm looking forward to reading it. 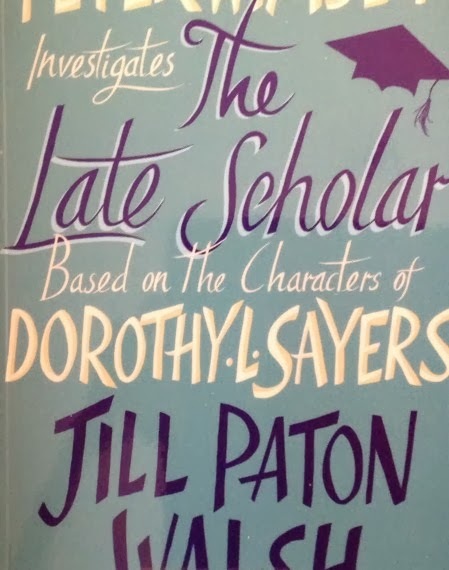 I had planned to write a review of the new Lord Peter Wimsey novel by Jill Paton Walsh, The Late Scholar, this afternoon. But, it's the end of a long hot week &, even though the cool change has arrived, it's still quite humid (without any rain which is the only thing that would make the humidity bearable). So, I hope to post a review later in the week when I have more energy. I did enjoy the book, though. Peter & Harriet back in Oxford with lots of references to their last visit there in Gaudy Night & cameo appearances from several of the dons. I can't believe that Kirkham's Find has been languishing on my tbr shelves since I bought it in 1988. I was asked to nominate a book for my 19th century bookgroup & I usually try to suggest something that has been on my shelves for a while &, as we tend to read off the beaten track, something a little different so I've chosen Kirkham's Find which was first published in 1897. I think I bought this book originally because it has one of my favourite paintings on the cover, An Old Bee Farm, by Clara Southern. Clara Southern was one of the women of the Heidelberg School. The men are better known, of course. Everyone's heard of Arthur Streeton & Frederick McCubbin, but there were several women who also followed the ideas of the plein air painters & Clara Southern was one of these. The original painting is in the National Gallery of Victoria & I always go to see it when I visit. 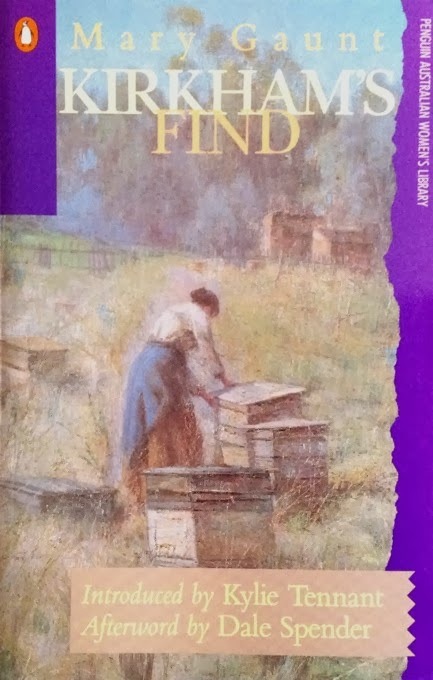 The subject of the painting is an appropriate one because the heroine of Kirkham's Find, Phoebe Marsden, decides to keep bees & sell honey as her path to independence. Phoebe lives with her family outside Ballarat, a town north of Melbourne. Phoebe is the eldest of a numerous family. The family have decided that she's the plain one & she's always compared unfavourably with her pretty sister, Nancy. Her father is a domestic tyrant & her mother is downtrodden so Phoebe has become the drudge of the family, teased & belittled by her pampered brothers & ignored by her younger sisters. Fortunately Phoebe & Nancy are close but she has no other friends. She resents this but poverty means that she has few options apart from marriage. Nancy has tired of waiting for Ned to return a rich man & has agreed to marry Joe Sampson, a good but dull man who has pursued her for some time. Phoebe begins keeping bees at home, just a few hives & struggles at first to sell her honey in the face of local indifference & her father's hostility. Eventually there's a crisis & her father decrees that the bees must go,. Phoebe, with the help of her brother-in-law, gets together the money to make a start on her own bee farm. She moves to Warrnambool on the south coast of Victoria & starts from scratch, renting a falling-down hut on a bit of land. Hard work & perseverance reward her although there's still a loneliness in her heart that can't be fully assuaged by the knowledge of her growing independence. There are so many good things in this book. Phoebe is a terrific heroine. Dissatisfied with her life of drudgery, downtrodden yet defiant & realistic about her chances of love & marriage in a society that values dainty prettiness like Nancy's over opinionated honesty. Mr Marsden is a portrait of a selfish, harsh man who favours his useless sons & grudges every penny of Phoebe's meagre allowance. Phoebe's determination to succeed will interest anyone who loves reading about home making. Her cottage in Warrnambool may not be a villa in Tuscany or a cottage in the Cotswolds but I loved reading about her struggles to create a home & a business from very meagre beginnings. Ned & Allan's adventures are terrifying & heart stopping. The prospector's attitudes to the Aboriginals isn't politically correct these days but it's very much of its time. The white settlers & explorers saw the land as terra nullius, belonging to no-one & were angry & incredulous when the local people took up their spears to enforce their rights. The description of the flight through the bush with the knowledge that they are being followed by silent, invisible pursuers is almost unbearably tense. Mary Gaunt captured the essential terror of loneliness as Ned almost succumbs to his demons after he hears of Nancy's marriage while living alone on a station as he tends stock to make a living. Reading about Ned & Allan trudging through the outback heat with little water & seeing mirages all around them was very evocative. I could feel the heat & the fear of death if the drought didn't break or if they got lost in the bush. Reading this book in the middle of another hot spell here in Melbourne made me very grateful for my air conditioning & jugs of iced water. It's a great read & I'm just sorry that it took me 26 years to get around to reading it. There are copies of Kirkham's Find available second hand & it's also available as a free ebook from Amazon & Project Gutenberg. I'm still feeling very Australian this weekend as I've been reading a wonderful novel by Mary Gaunt, Kirkham's Find. This is the book that has been on my tbr shelves since 1988 as it was republished by Penguin that year as part of their Australian Women's Library. 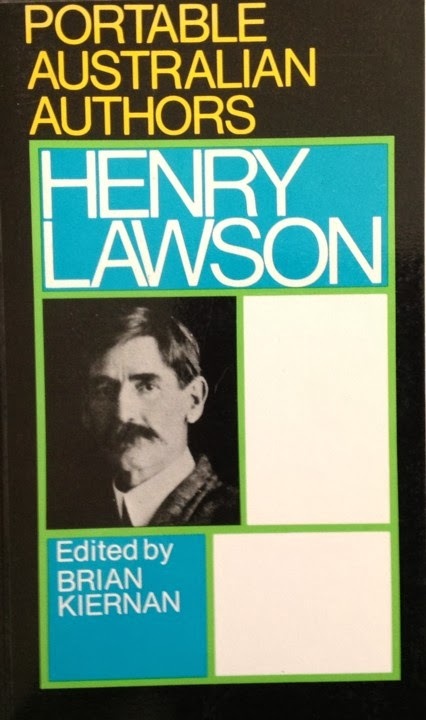 Mary Gaunt did write poetry but I haven't been able to find any of it so I've taken one of the themes of the novel & gone back to Henry Lawson. The Roaring Days is a poem of the goldfields & two of the characters in Kirkham's Find are searching for gold. There's a nostalgia here for the old days of discovery & mateship that Ned & Allan in the novel haven't had time to feel yet as they're still in the struggling phase of searching for gold but the picture of the mining camp recalls the novel.